Earn $6.93 in VIP credit. Click to Learn More. 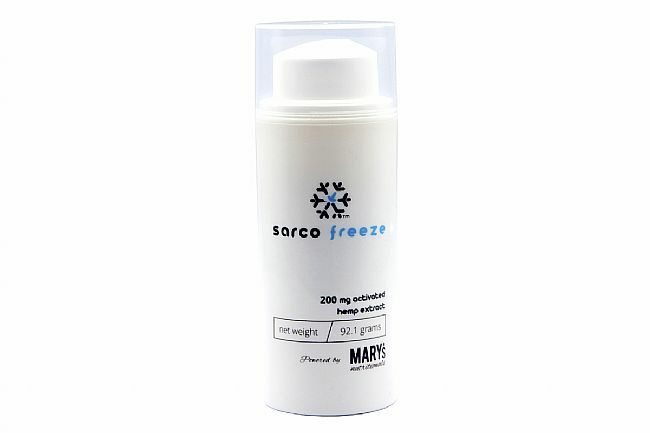 Arcanum Sarco Freeze: topical cooling action. 92.1g container with 200mg CBD. Recover with dermal delivery. Avoid first pass metabolism, convenient and easy to use, decreased dosing frequency and continual release providing improved efficacy and dose control. Cooling relief in as little as five minutes. Full spectrum activated hemp increases the bioavailability of other healing and soreness relieving ingredients. Dermal delivery for more accurate dosage control and better absorption. Paraben Free, Sulfate Free, Non-GMO. Made in the USA.